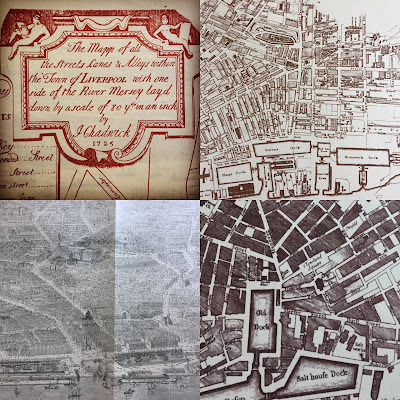 My Dad and I took a history trip around Liverpool, recreating our own little take on the BBC’s ‘Who Do You Think You Are’ and exploring our family’s city throughout the ages. In Part One we checked out Liverpool’s part in the Battle of the Atlantic at the Western Approaches war museum, visited Blitz memorials, and researched our family history at the Central Library records office. There’s no better place for Scousers to visit than the Museum of Liverpool. It’s great for everyone to visit, of course, but the People’s Republic, Wondrous Place, and The Great Port galleries especially are a real treat for home grown Liverpudlians. I’ll never ever get tired of visiting. I love the space, I love how it’s curated, I love everything about it. But most of all, I enjoyed visiting with my Dad, who offered a narrative alongside that of the museum’s: my family’s story. I’m really lucky to have a Dad who lived in the era of Merseybeat and Rock n Roll, and Liverpool in the 1960s has always seemed like a magical time to me. 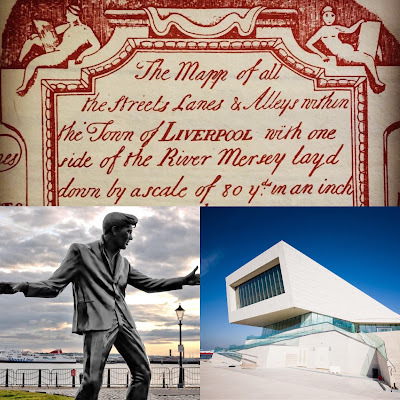 Growing up, I loved all the late 50s/early 60s acts – the Beatles, Billy Fury, Jerry Lee Lewis, Chuck Berry, Little Richard, and the impact it had on music coming out of Liverpool and beyond for years to come. So I really enjoyed the Wondrous Place gallery, named after native Billy Fury’s 1960 hit song. From July 2017 to January 2018 there’s also a fab exhibition dedicated to Gerry and Pacemakers which all Merseybeat fans need to check out: Hit Makers and Record Breakers. We explored the People’s Republic gallery which included a wonderful reproduction of court housing – dank and overcrowded buildings which were still inhabited by many scouse families like mine until they were finally phased out in the 1960s and replaced with more sanitary and spacious housing. I had originally hoped to take my dad to the last remaining example of original court housing in Liverpool – at the historic site of Pembroke Place – which Ricky Tomlinson was able to visit on his Who Do You Think You Are episode, but at the time of our visit there was a gap in funding so no work was taking place on the project. The reconstruction at the Museum of Liverpool was a good alternative though, and in the meantime, I’ll be keeping an eye on progress at Pembroke Place by following the project’s Facebook page. Lastly – and there is so so much more to see at the Museum of Liverpool but you didn’t come here to read about every single artefact and picture in there – I loved the Great Port gallery on the ground floor, just behind the gift shop. Dedicated to Liverpool’s role in transport, industry and trade, I was able to grapple with dockers’ hooks that my granddad will have used, seen original molasses vats salvaged from Tate & Lyle where my Nana worked, and learned about the Mersey and canals – where my Great Grandad would occasionally fall in as he wheeled coal from the barges up a gangplank to the furnaces of the same sugar factory (and annoying my Nanny with his constantly drying socks in front of the fire back home). Expanding on the brilliant Wondrous Place gallery in the Museum of Liverpool, we headed to The Beatles Story at the Albert Dock which had some brilliant memorabilia and recreations. 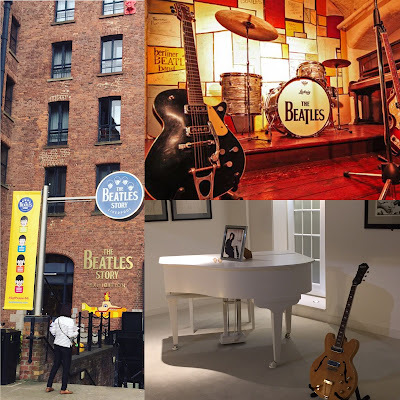 There were a couple of parts I particularly enjoyed – along with a little story about the early Beatles and my Mum & Dad meeting in the 60s – that I’ve written about in There’s a Place: A Visit to The Beatles Story at The Albert Dock. Similar to the sound of Bow Bells in London’s East End, you can’t get more scouse than the Vauxhall and Scotland Road areas of Liverpool. Now a landscape of empty pubs, car mechanic yards and bookies, it was once a bustling community of small homes set (extremely uncomfortably by today’s standards) amongst thriving factories and lively watering holes. When the area became host to a large influx of Irish immigrants escaping the famines in the 19th century, it became one of the most overcrowded and impoverished slums in Europe. Rife with Cholera, crime, malnutrition and every social plague known to man, it bred a tough and wily populace who did whatever it took to survive. There is so much more that could be discussed here – what occupations were realistically available to Catholic communities in a wealthy city heavy with anti Irish sentiment for one – but you’ll have to get me in a pub with a few hours to spare to unpack that one. Given my interest, it’s perhaps no surprise that this is where both sides of my family tree stem from. Before the slum clearances that sent families to Norris Green and as far away as Speke and Belle Vale, my relatives lived alongside each other in the streets off Vauxhall and Scotland Road and in some cases, all in the same street. 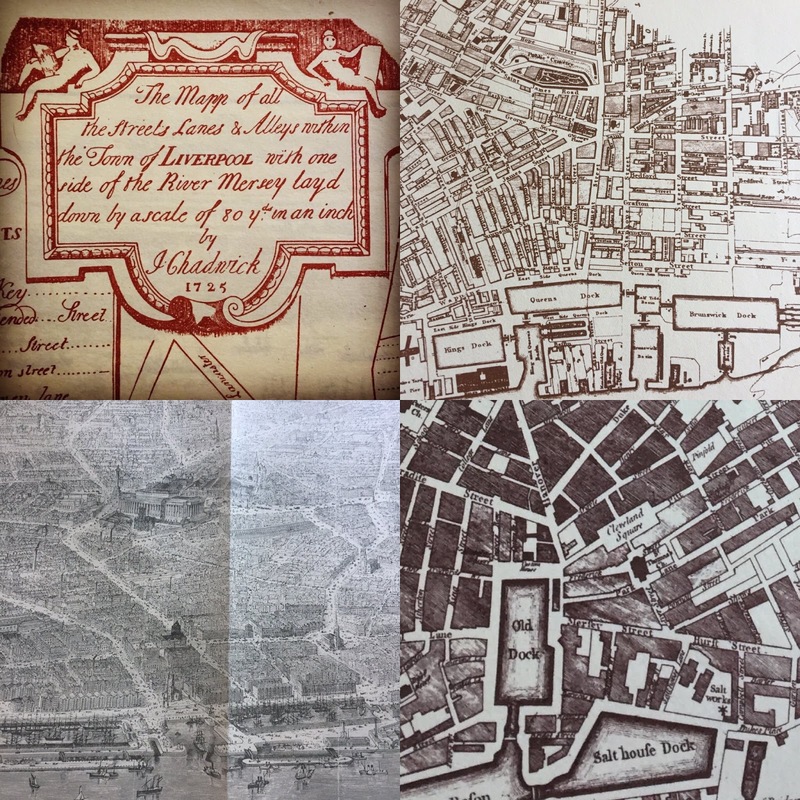 We explored what was left of these streets (some completely eradicated to make way for the Mersey Tunnel), pubs that had long since stopped pulling pints, where the wartime air raid shelters were, and roads that were on my Dad’s collection of old maps but are unheard of today. History tours are hungry work so naturally we went to fill our boots at the end of a long day of learning and re-discovery. Italian bar and restaurant chain Gusto is a favourite in our family – my son particularly loves making his own pizza when he visits – and we weren’t let down when we headed there for tea during our history trip. Booking is a good idea as it’s always so popular, but if you just turn up like we did you can always hang out dockside with a drink from the bar while you wait. 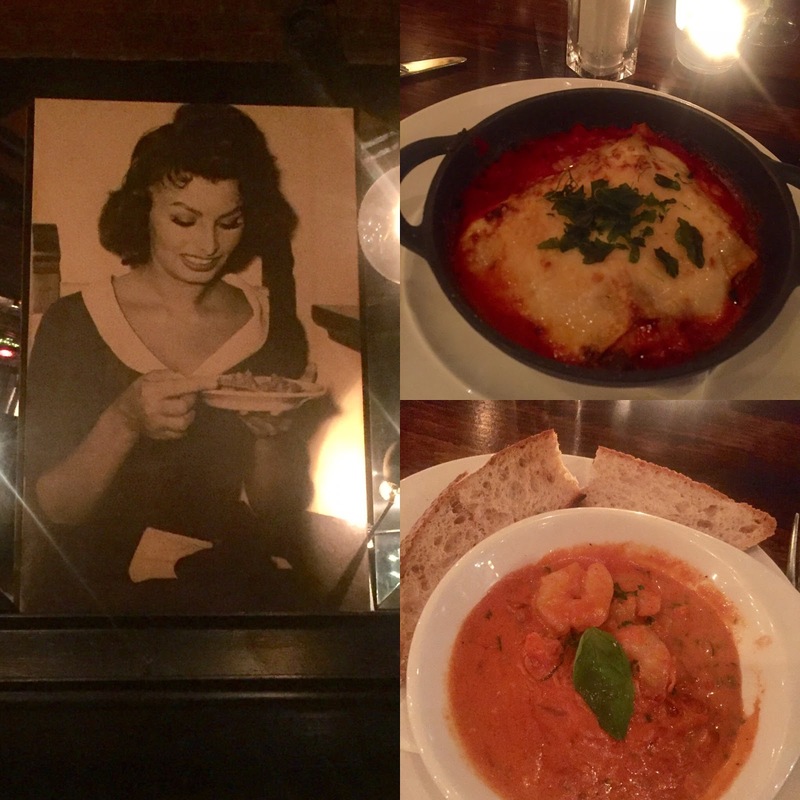 I enjoyed prawns and lasagne and my dad chose salmon followed by seafood pasta, which he said was “spot on”. During our history tour we stayed at the Travelodge Liverpool Central The Strand which I gave a review of separately – but essentially it’s a fab location for getting around on foot, sightseeing, shopping, eating and drinking. The staff are friendly, the rooms are clean, and the breakfasts are boss with Lavazza coffee! Wherever you’re from, I’d urge you to go back to your roots too. If you’ve still got your parents or grandparents in your life then ask them questions, maybe even interview them or film them (I’ve got my Nana on VHS somewhere talking about the old days). Your family history doesn’t have to be that which is captured in certificates and old documents. It’s also the minutiae of day to day living. Smells, sounds, and feelings. The little things that only your family can pass on to you. And which you can pass on to yours.